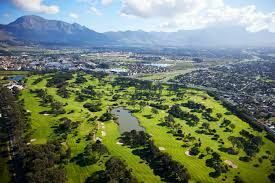 Officially opened in 1996, the Steenberg Golf Club is situated on the oldest wine farm in the Cape Peninsula, dating back to the days of Simon van der Stel. As you can imagine, this creates an atmosphere of pure history with an air of vintage wines and world-class golfing. Mere minutes from Cape Town City Centre, you are transported into a world of fine dining, wines of origin and luxury hotel accommodation, all steeped in Cape Dutch tradition. 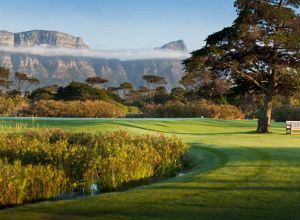 It’s no wonder that this golf course has been rated one of the top three courses to visit in South Africa. 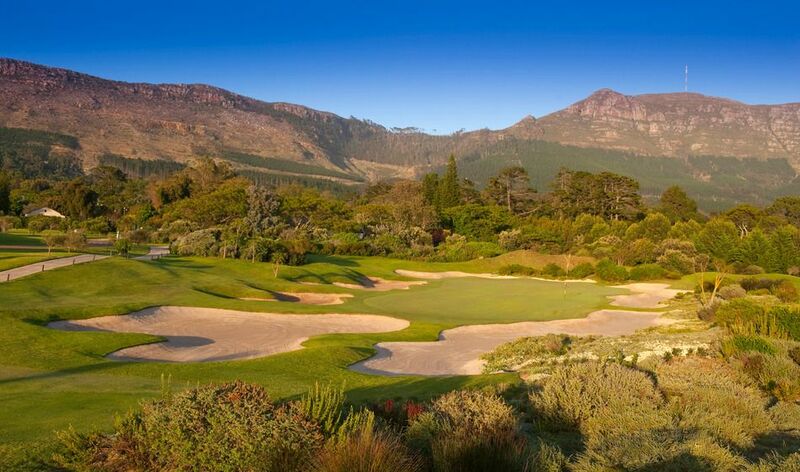 Condé Nast Traveler (US) has rated Steenberg as the Top Foreign Golf Resort of 2012. 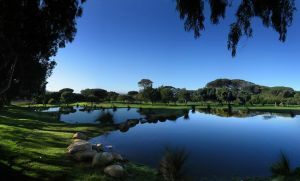 To add to the beauty of this course, you might be lucky enough to see one of the many shy and indigenous wildlife and birdlife that inhabit the area, such as the Cape Mountain Leopard or the Porcupine, as well as the Orange-breasted Sunbird or the African Fish Eagle, to name just a few. 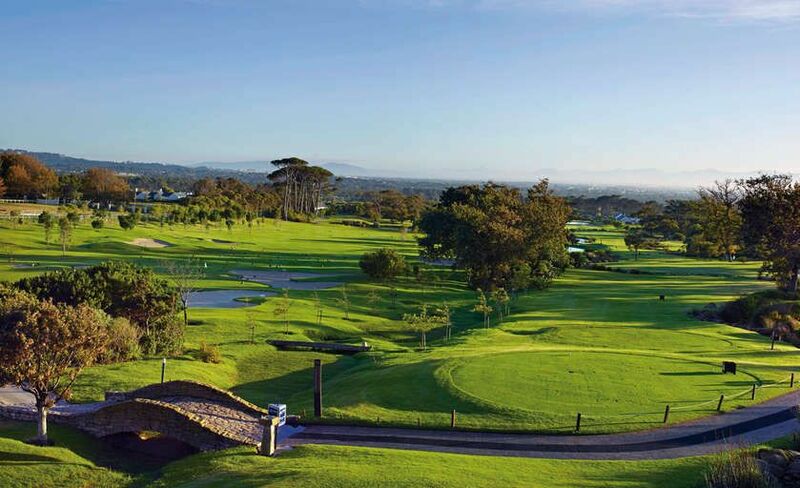 Golf Digest has consistently named the course as one of the best conditioned courses in South Africa. This 18-hole, 6,424 metre long course offers traditionalists the opportunity to “bump and run” in the rough around the greens. Designed by Peter Matkovich, the course makes full use of natural features and hazards, such as vineyards, pine forests and gentle waterways. The Par-3, 14th hole features the largest green in Southern Africa, measuring in at 76 metres long. The signature hole for the Steenberg Golf Course is the Par-3, 7th hole, which sees its island green set into sand and water. With the spectacular Devil’s Peak in the background, one is hard-pressed not to get sidetracked from the task at hand! 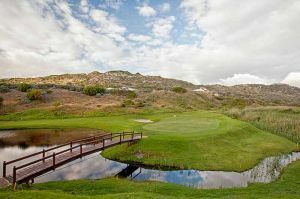 The Steenberg Golf Course hosted The Cadiz Steenberg Classic for 2012, a fundraising charity drive. 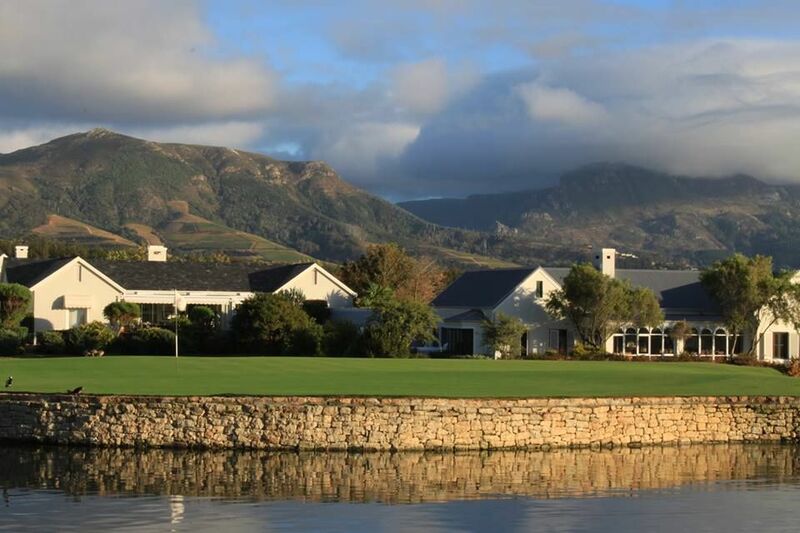 As well as a superb round of golf, Steenberg also offers a range of other experiences, such as Steenberg’s award-winning wines at the estate winery, fine dining in beautiful surrounds at Catharina’s Restaurant, as well as a luxury spa, 5-star hotel, an exclusive clubhouse and a well-stocked Pro Shop. 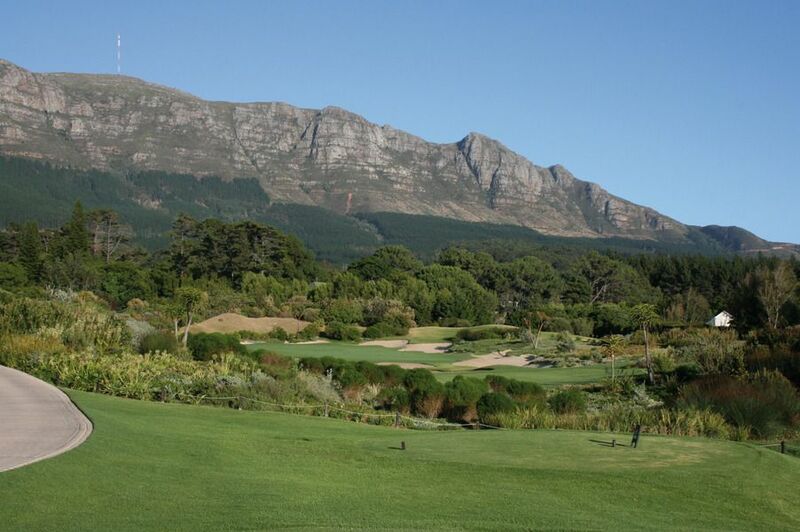 For a feel of true Cape history, as well as an excellent round of golf, this course cannot be missed! In the heart of the Constantia Valley. From Cape Town city centre travel on the M3 towards Muizenberg. Turn right at the end of the highway towards Tokai (M42). Follow Tokai Road around to the entrance to the estate. 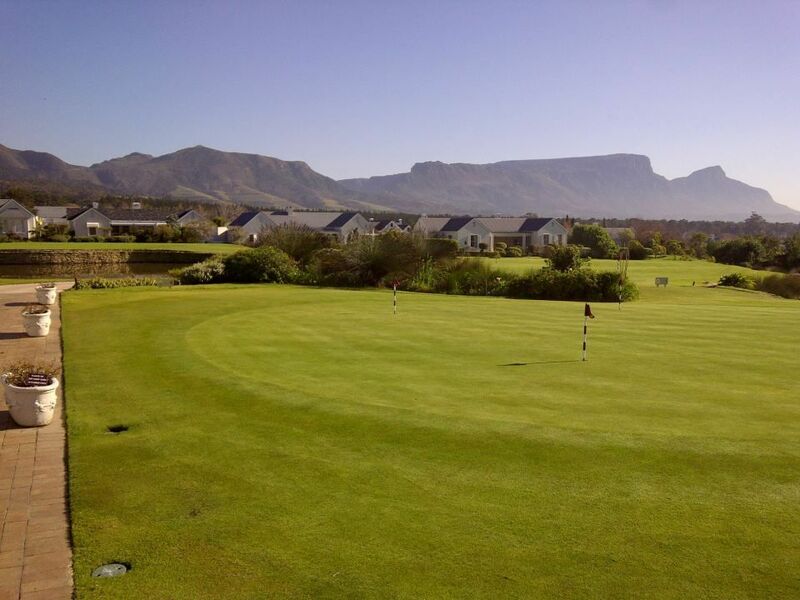 Steenberg Golf Club is not yet in our pool of Golf Courses for orders.